It can be hard to compute something when you don’t have all the information. However, this calculator can create a loan amortization schedule given only three of four necessary variables. Enter 3 of the following variables: number of monthly payments, interest rate, loan amount &monthly payment. Click into any field to erase it and enter new data. When you clear the field you want calculated and enter 3 known variables the missing variable will automatically appear. For a printable payment schedule, click on “Create Amortization Schedule” and a new browser window will open. This calculator will run a simulation using your input data nad return a highly accurate result, to within 0.002%. Most people must take out loans to purchase a new car or buy a new house. Many students cannot afford college without taking out loans to complete their education. Because there are so many types of loans and financing options, it is important to educate yourself on the basics of loans. Here is some information on how estimating loan payment variables can save money while repaying common loans. The first variable is the frequency interest accrues on the loan. Many loans have a daily accrual rate which adds up by the end of the month. 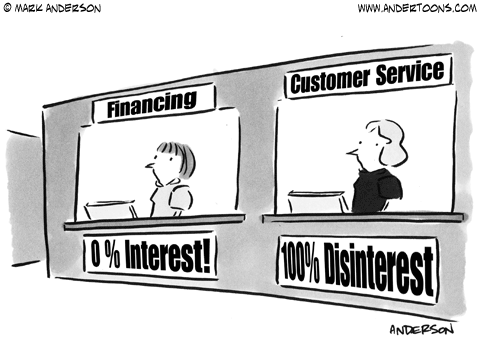 Interest is always paid first on a loan. If you have a $1000 mortgage payment and accrue $958 in interest, you will only apply $42.00 towards your principal balance because of accrued interest. Another important variable is when interest is capitalized. In most cases, interest is capitalized when a loan goes into default. In other words, if you fail to make your payment, your interest is attached to the principal balance and then interest is tacked on to the principal and interest combined. This makes for a never-ending cycle that makes it almost impossible to pay down the debt. You can capitalize on loan variables by not falling behind on payments. Also, never take advantage of skipped payment programs. Try and pay interest on deferred loans before they are due and pay more towards the principal balance during the life of the loan. It's important to understand that payments are applied similarly with all loans. The government has rules that regulate how loan holders must handle payments. Most of the payment goes towards fees first, and then they credit funds to interest accrued as of the day the payment is credited. If funds are left, the rest goes towards the principal balance. Making double payments on a loan does not mean you owe less interest. The only way an extra payment can be credited towards the principal is with an agreement between you and your lender. This is usually done through a coupon payment that applies the extra amount towards principal. Since the interest accrues only on the daily balance of the principal, even a small amount towards principal can save a lot in accrued interest over the life of the loan. From this example, you can see how the interest rate paid goes down every month, and the amount towards principal goes up. Estimating loan payment variables is not as difficult as it sounds once you understand the basics. Take advantage of making extra payments towards principal and avoiding late payments. Doing so can cut years from a loan.